Taking an oath to state only the truth is a huge responsibility to take on. Every word you utter can make a great impact in someone’s life. Upholding truthfulness should be cultivated when stating the facts of the case. During a court trial, witnesses swear to only give credible and verifiable declarations regarding the matter at hand. If someone breaches the oath, the individual will suffer the consequence. That’s how powerful words can be. 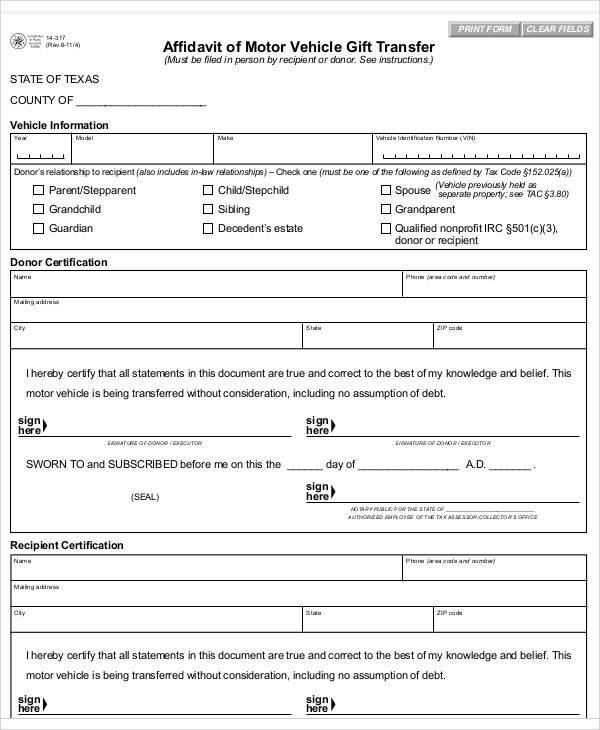 With that in mind, when you are given the opportunity to testify and state the truth in written structure, you must sign an affidavit form, signifying your acceptance to express truthfulness of written legal statements. An affidavit is a legal written statement from an individual who is under an oath conducted by any legal authority. The individual who pledges an oath to only state the truth is called affiant or deponent. 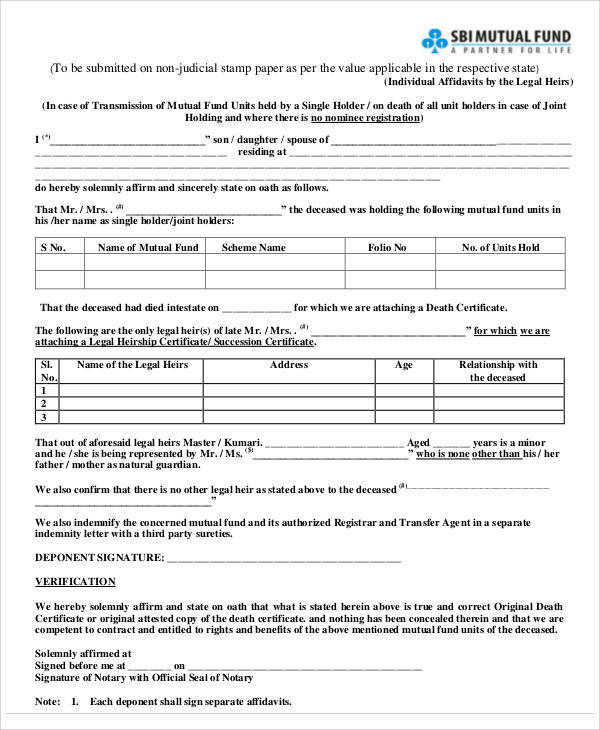 The oath is executed to signify that the written declarations containing in the affidavit are credible and verified based on the affiant’s testimonies. Through this oath, the affiant is under the jurisdiction of the law, which implies that a single untruthful testimony will result in an offense called perjury. Perjury is an act of untruthfulness to one’s declaration of statements under an oath. This offensive act can result to penalties or criminal liabilities. The facts containing in an affidavit are all composed of the affiant’s testimonies. These testimonies are based on the affiant’s knowledge and information regarding the specific case. The information can be based on the affiant’s experiences and observations depending on how he perceived the actual scene of the case. 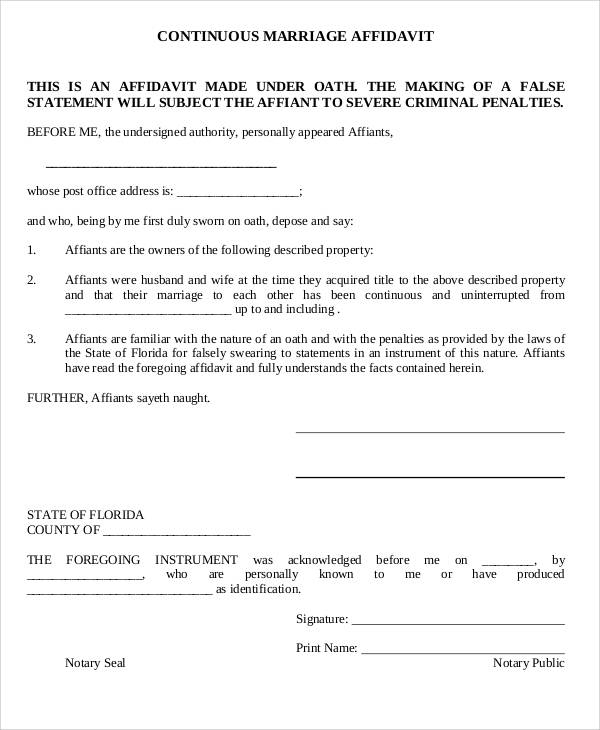 The statements contained in a sworn affidavit form are the affiant’s truth. However, the court will still examine the authenticity of the affiant’s information based on the source and background of the statement. 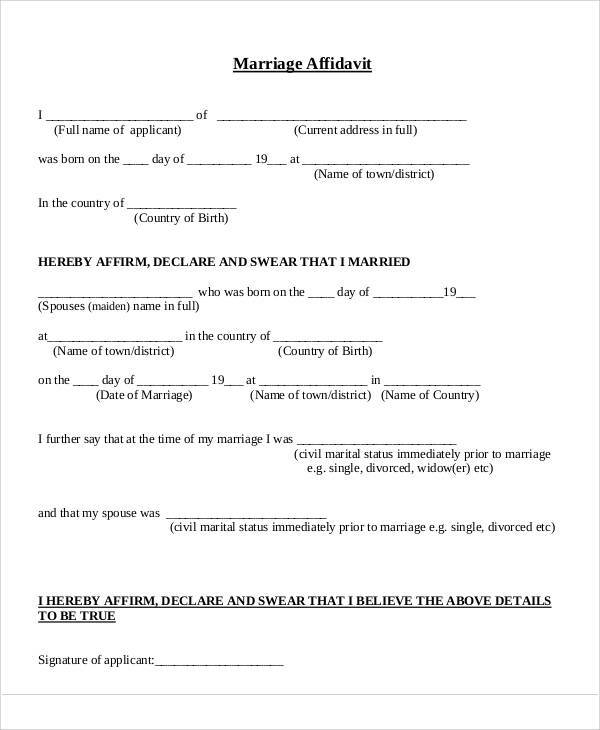 Besides the affiant’s testimonies, other vital details are included in an affidavit form such as the following. Name of Affidavit: The name of affidavit depends on the type of affidavit you are filing. 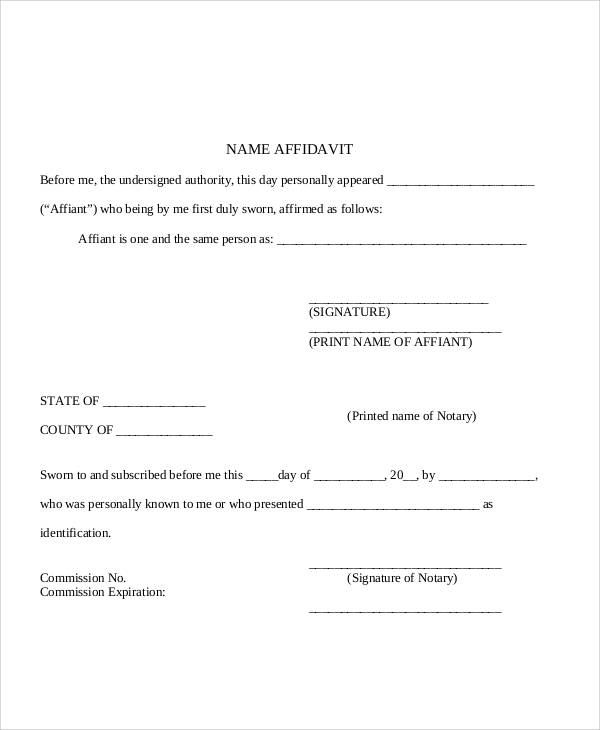 Name of Affiant: The name of the person filing an affidavit. Place of Jurisdiction: The place where the affidavit is filed. It includes the country, state, and city address. Date Issued: The date, specifically month, day, and year of the issuance. Sworn Testimonies: This contains the affiant’s specific and truthful knowledge about the case. 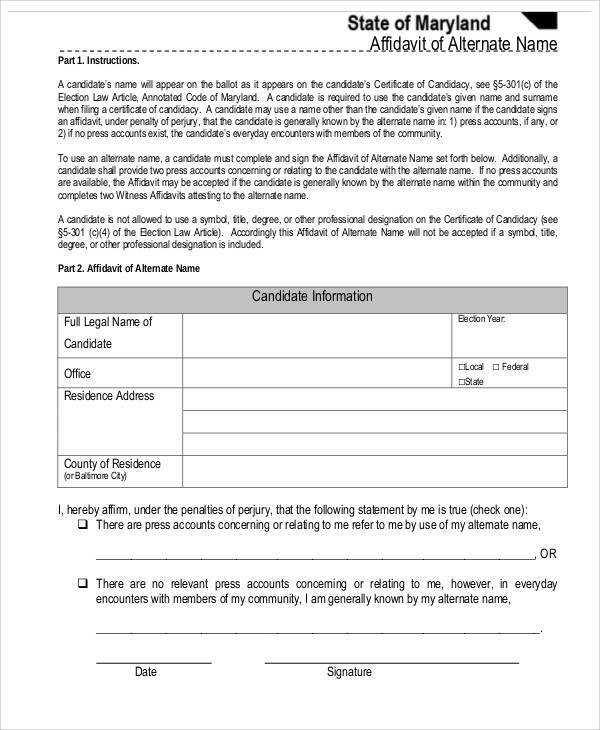 Signature of Affiant: This is where the signature of affiant is placed. The signature symbolizes the affiant’s understanding that the declared testimonies are credible and accurate. Moreover, he will be liable for any violation of the oath. 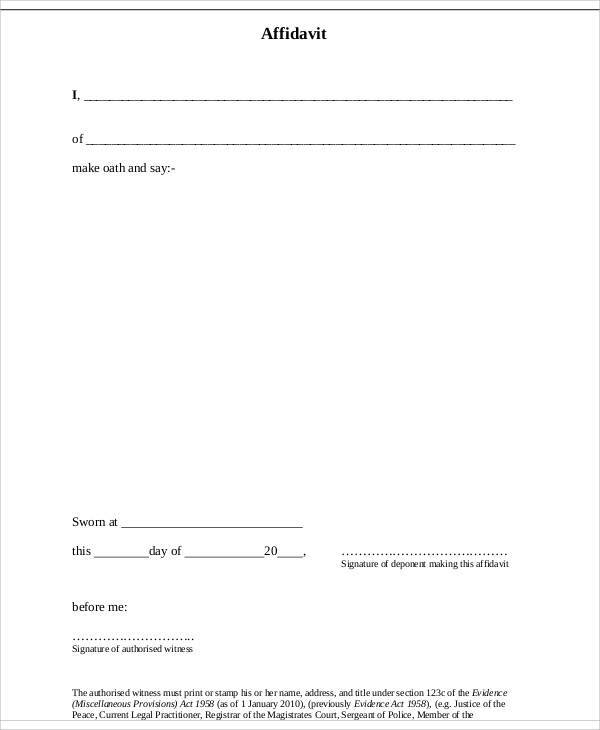 Signature of Legal Authority: This is where the signature of the assigned legal authority is placed. This authority will be the one to supervise the oath taking and formalize the affidavit. The legal authorities can be public notaries, court clerks, and court commissioners. 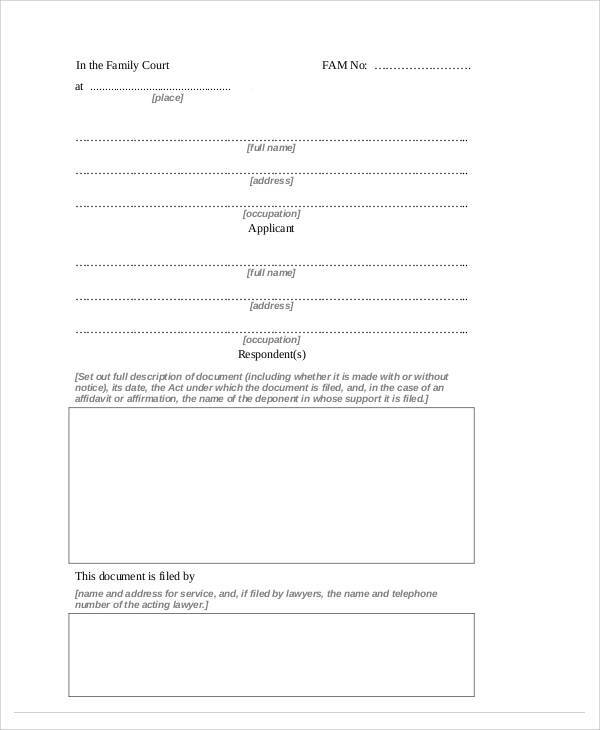 These are some necessary details you should take note in filing an affidavit. Before putting your signature, review all the contents and make sure you understand the obligations you need to uphold as you swear an oath. It’s good to be informed of the details beforehand. 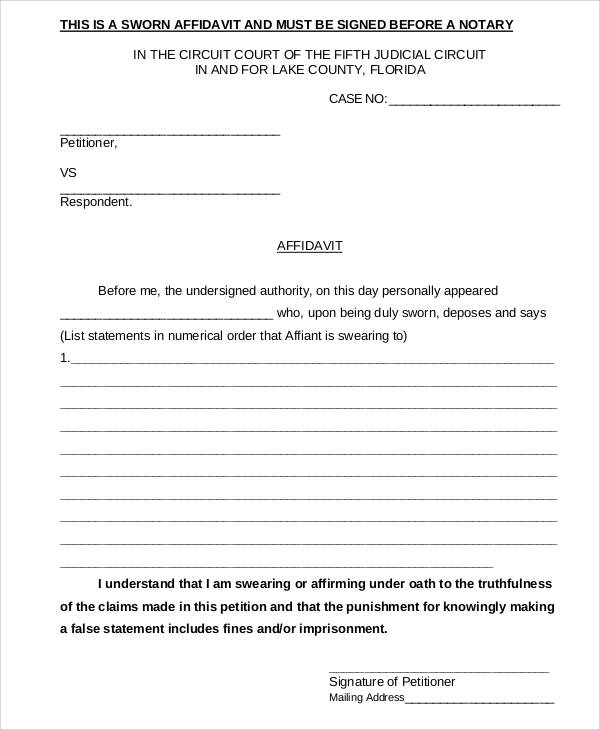 An affidavit is important in any court case because this written document acts as evidence. With its legality, this could be considered as a strong evidence containing the facts of the case. Whenever legal proceedings occur, attached affidavits are used for sources in trying to win a case. All written statements within an affidavit are used to build up the case. This is why the affiant should see to it that the written testimonies in the affidavit are all factual and credible for he cannot afford to break the oath. 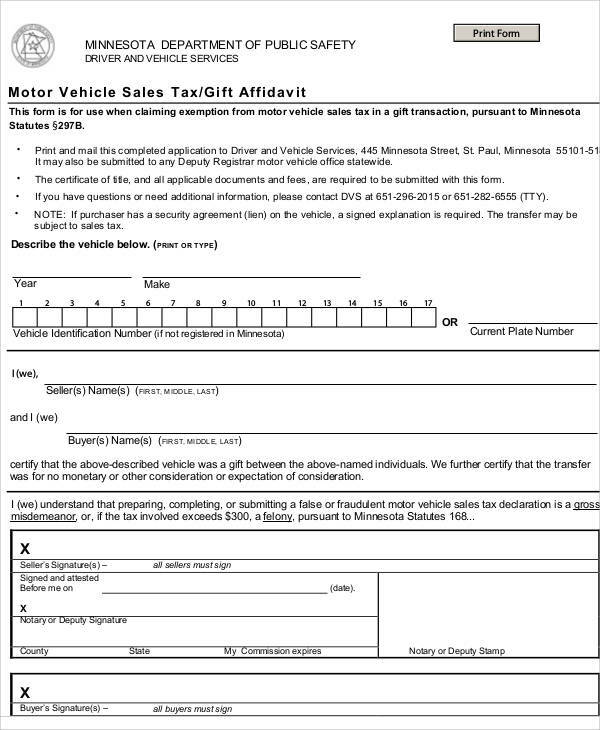 In filing an affidavit, you should be aware of its type since affidavit forms vary depending on its purpose. 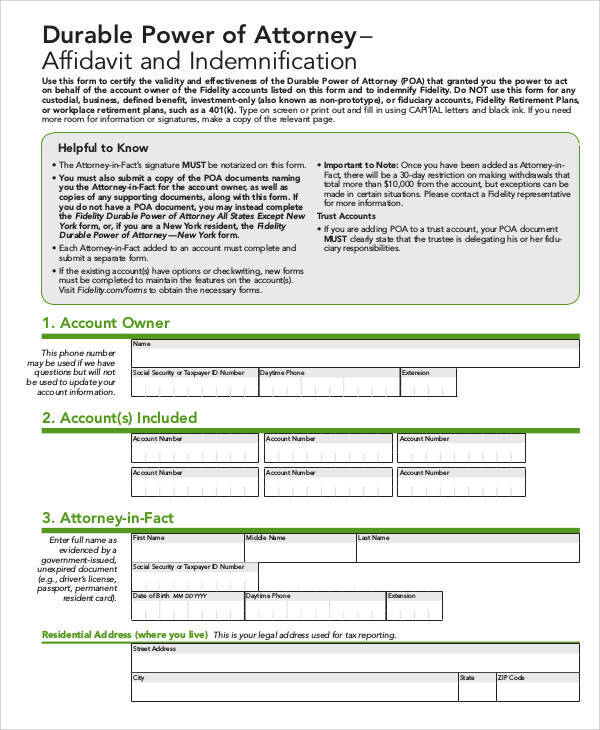 Here are common types of affidavit forms. 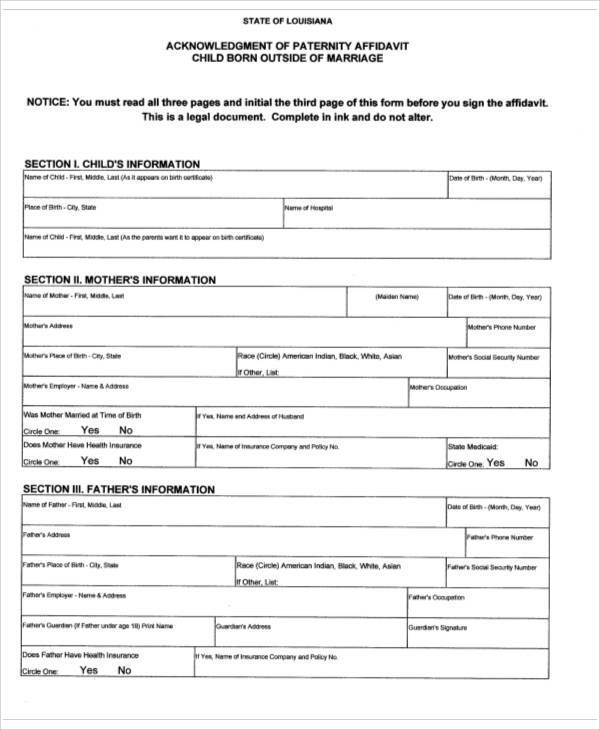 Name Change Affidavit: This affidavit is for changing a part of one’s name that is different from one’s given birth name. This is common to newly married women who want to change their last name to their husbands’ surname. 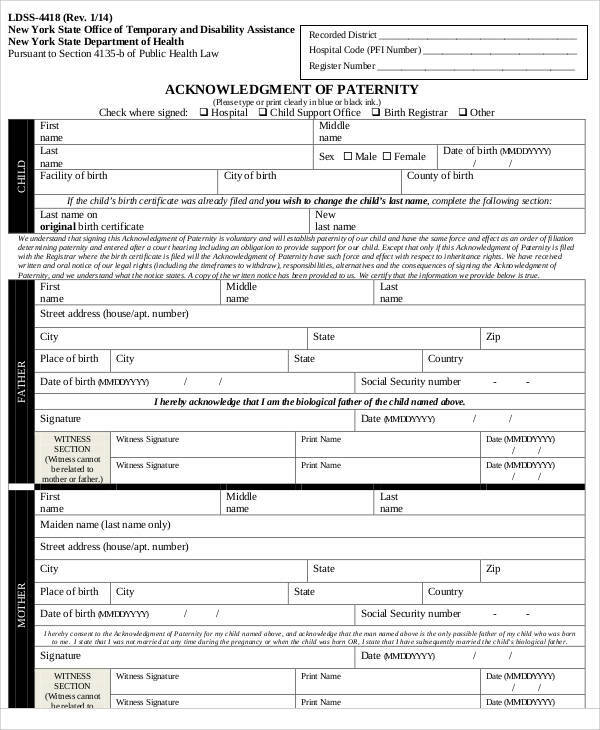 To complete the affidavit, an individual, who can act as a witness, is necessary to prove that your name is now different from your given birth name. 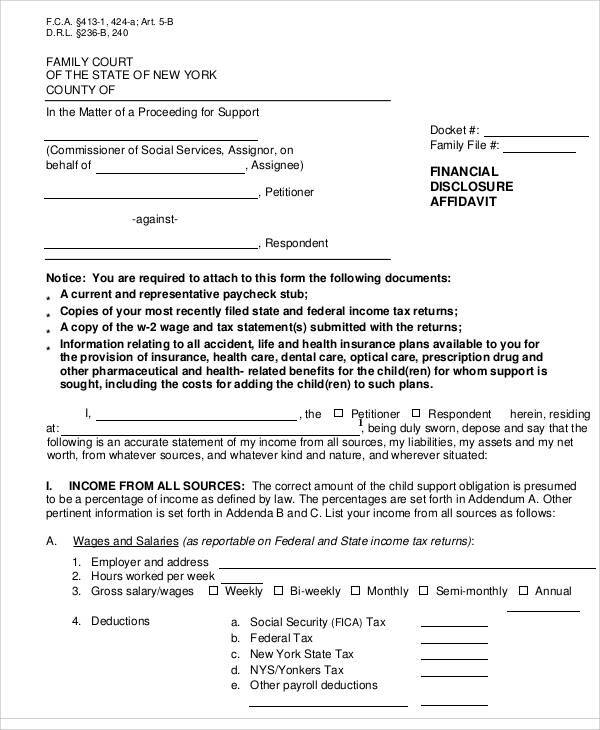 Financial Affidavit: This affidavit is used in divorce proceedings wherein a couple agrees to full disclosure of combined and individual assets and finances. The assets indicated must be true and reliable. 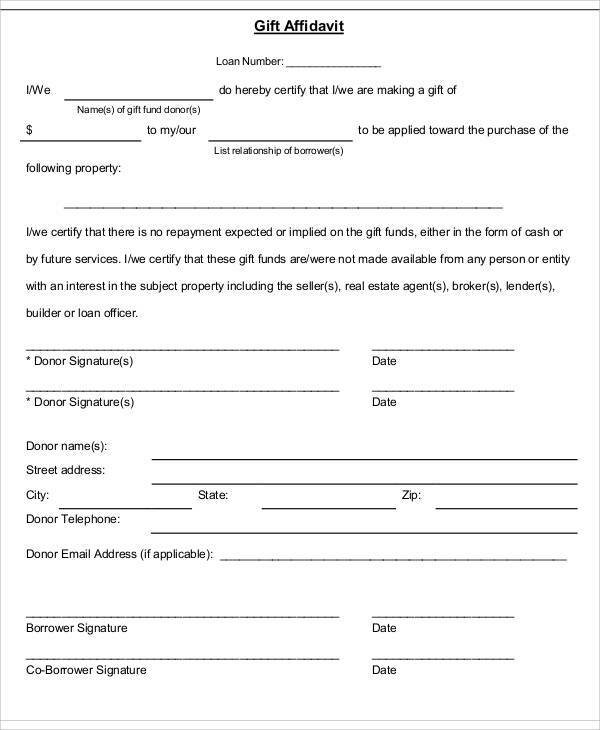 The information from this affidavit will also be used as a basis for financial support of the children. Affidavit of Heir: When an individual passes away, the assets he has can be passed on to his heirs. 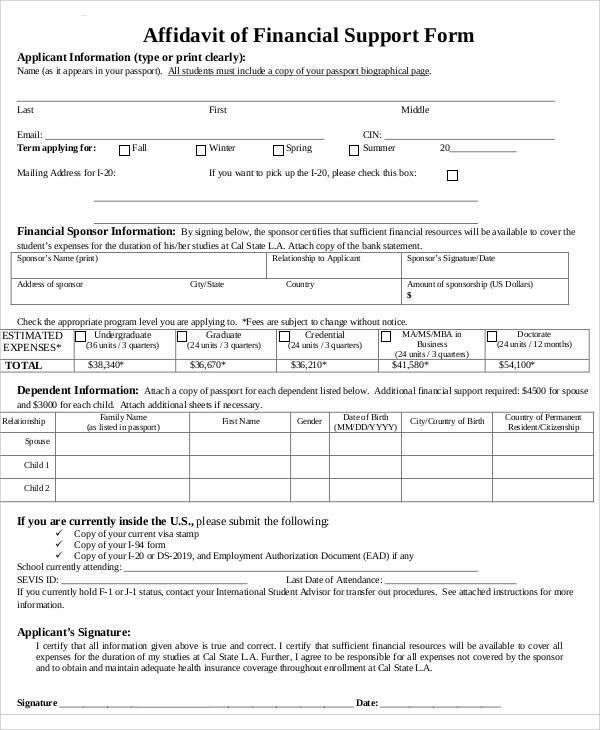 This affidavit helps the heirs to gain the assets of their deceased relative. However, a person who will not benefit in the assets is needed to stand as witness. 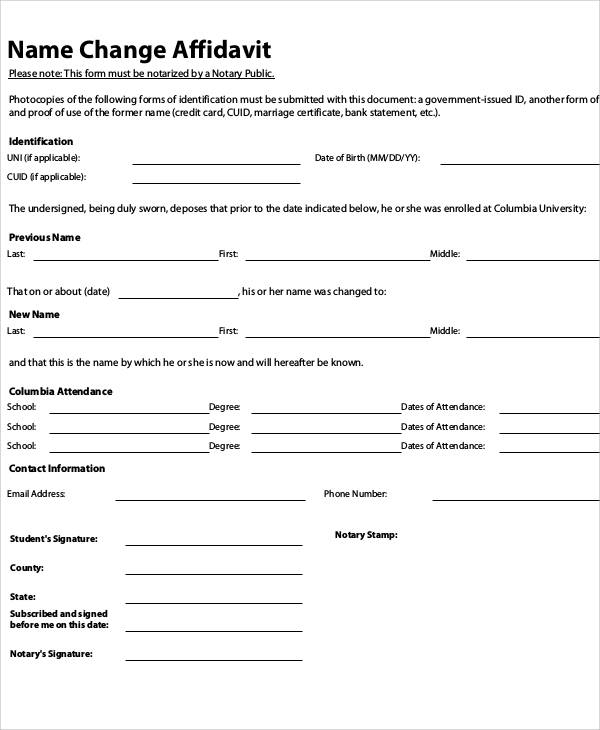 Affidavit of Residence: This affidavit is useful when a person wants to prove that he’s now living in a particular city. The person must indicate the address of his new home in the affidavit. 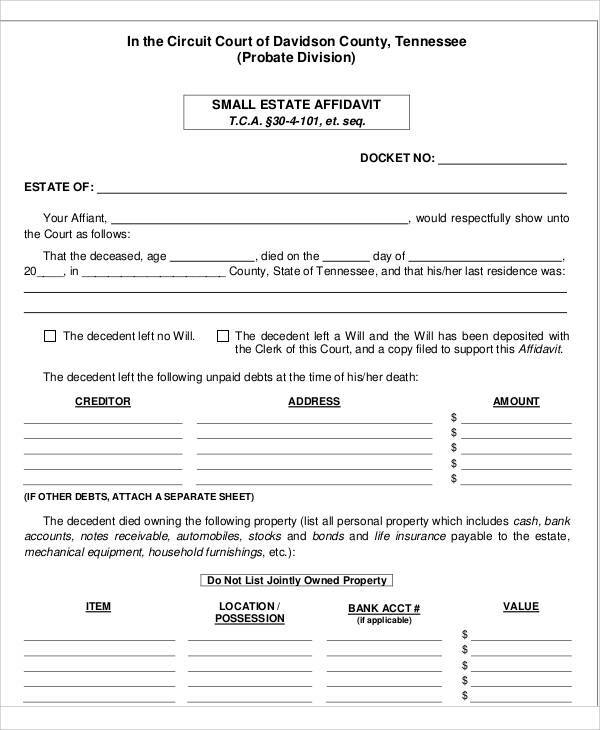 Affidavit of Death: This affidavit is necessary to notify business and government agencies that an individual already passed away. 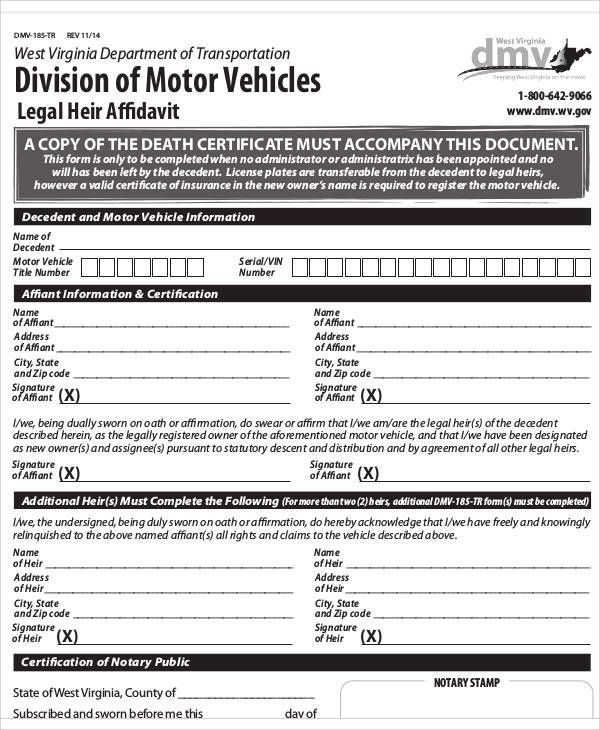 Also, if a certificate of death cannot be acquired, then this affidavit can be used. Witness Affidavit: This affidavit contains the testimonies of the witness in a deposition. Deposition is a legal process wherein a witness is asked about the specific case by a lawyer outside the court. The verbal testimonies of the witness will then be translated into a written form for future reference. 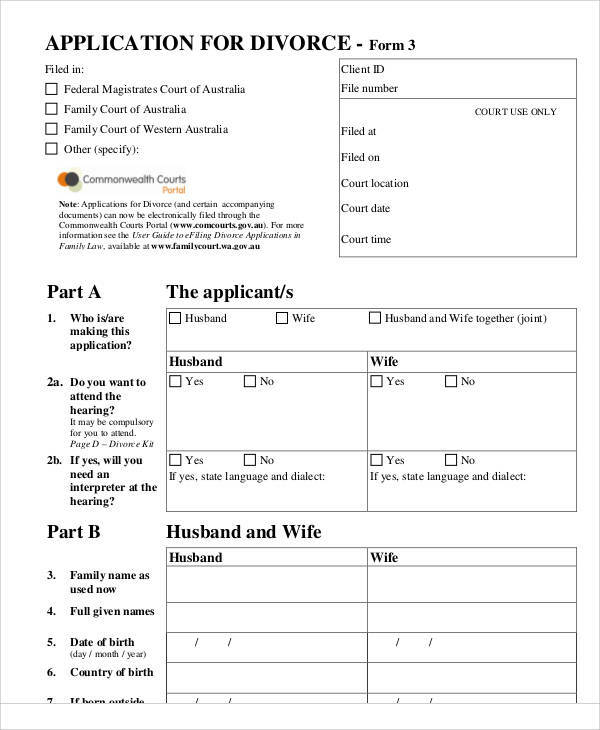 Marriage Affidavit: This affidavit is used to legally bind two individuals in marriage. 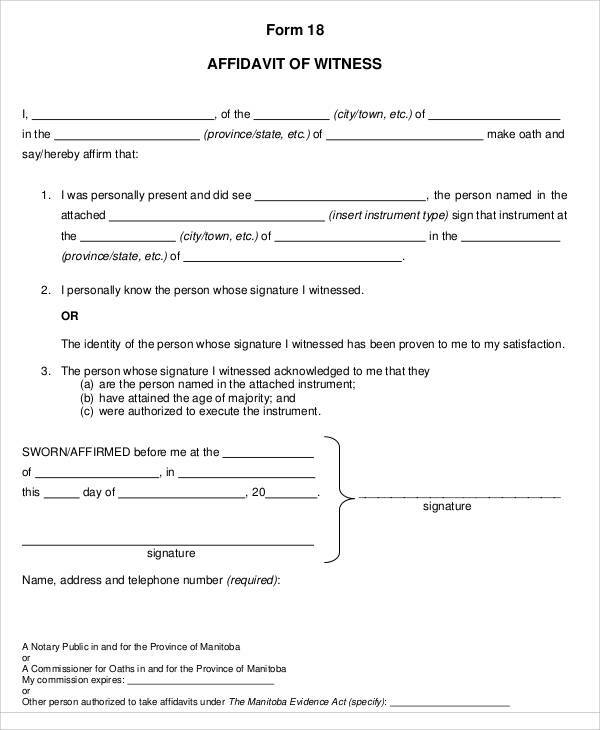 A witness of each couple must be present in the signing of this affidavit. 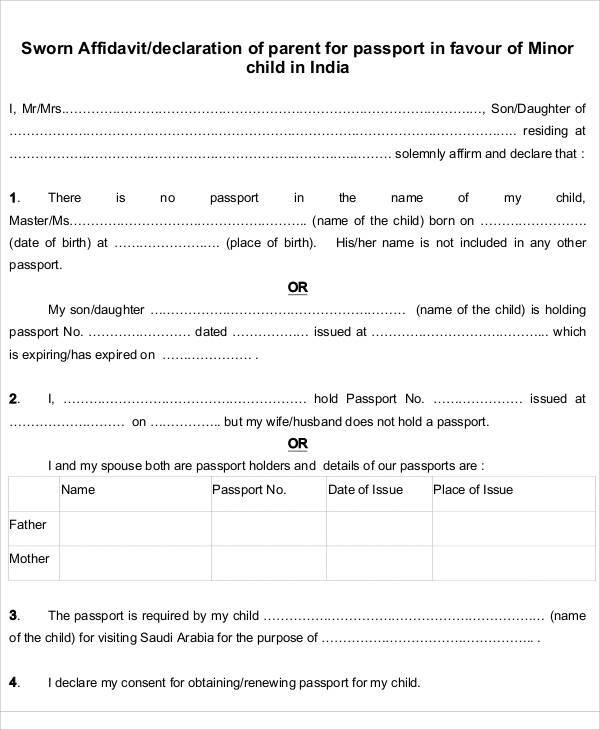 Affidavit of Birth: This affidavit can be a replacement from your birth certificate. It will contain all the important details regarding your birth. 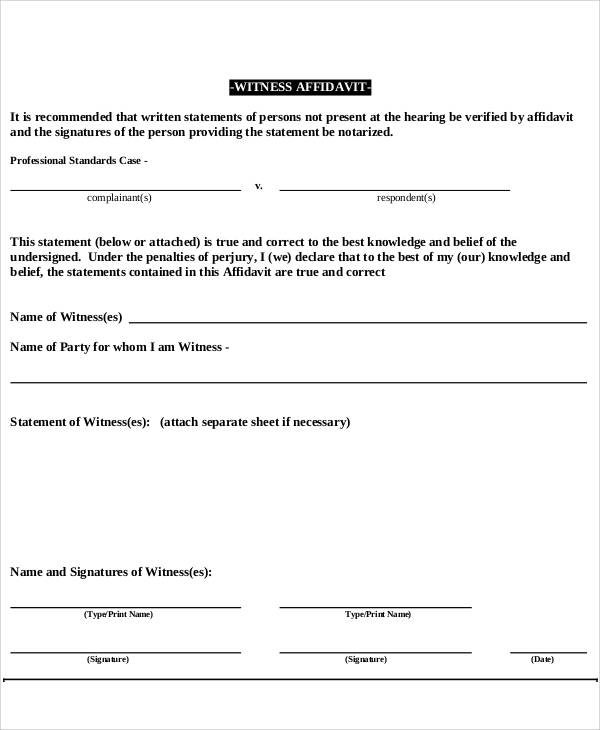 A witness must be present to testify the authenticity of the details containing the affidavit. Familiarize the aforementioned affidavits for they are your guide for your filing. 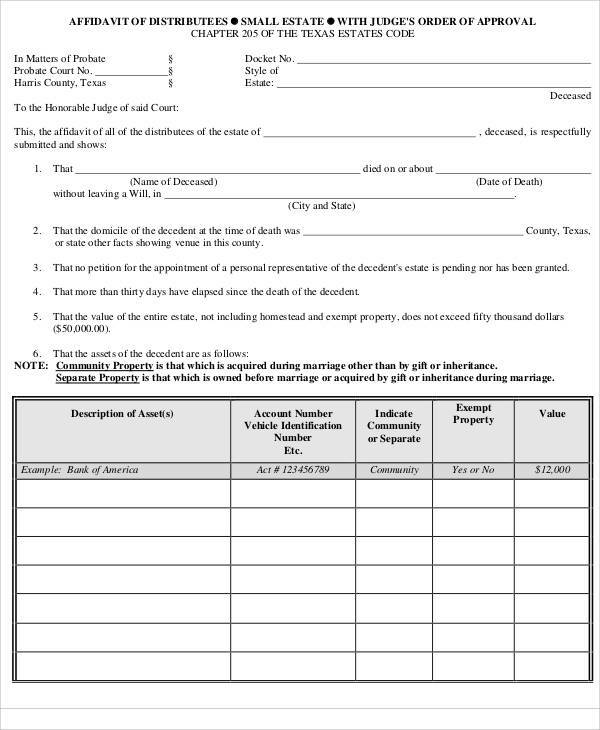 Take note of the different purposes of these affidavits. Filing an affidavit requires ample knowledge regarding the case. 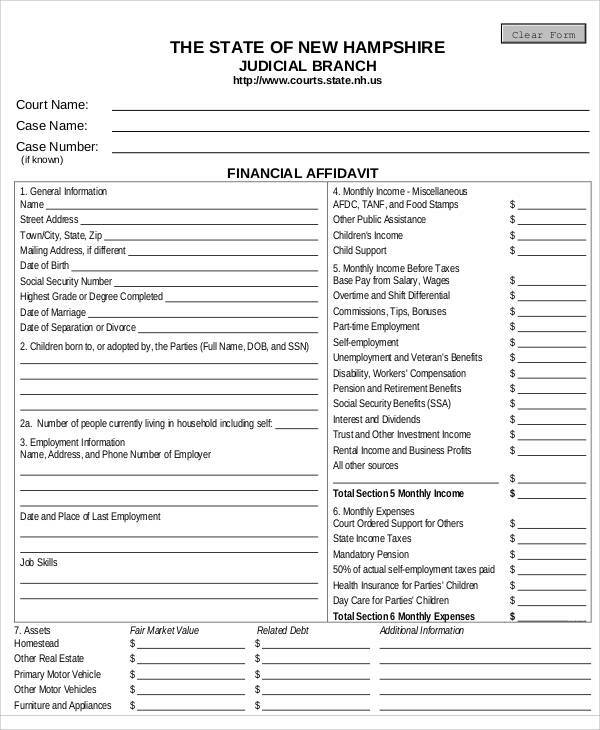 The following are guidelines for filing an affidavit. Gather information. Before filing an affidavit, make sure to gather all information and knowledge you have. You can list them all down for easy remembrance. Take note all the major and minor details of the case such as the date, time, place, names of people, activities, etc. You can have your time alone to reflect and review the things that happened. Comply necessary details. After gathering the vital information, secure an affidavit form and fill in the important details. 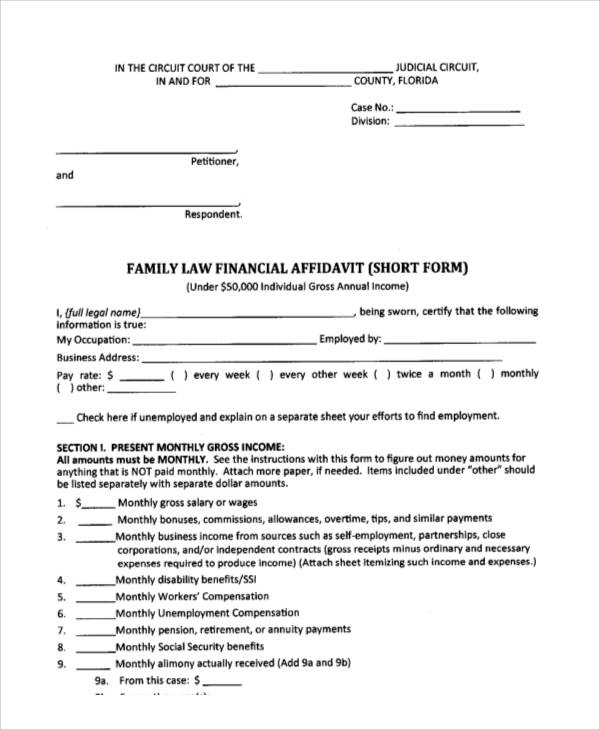 Make sure to indicate the title of affidavit, name of affiant, address, occupation, date, and the written testimonies. In writing your truthful testimonies, remember to be specific and detailed in your descriptions. You can have it in numbered forms for readability purposes. Don’t forget to state in the affidavit the statements, “under penalty of perjury,” for this is the consequence of your oath if you don’t follow it. 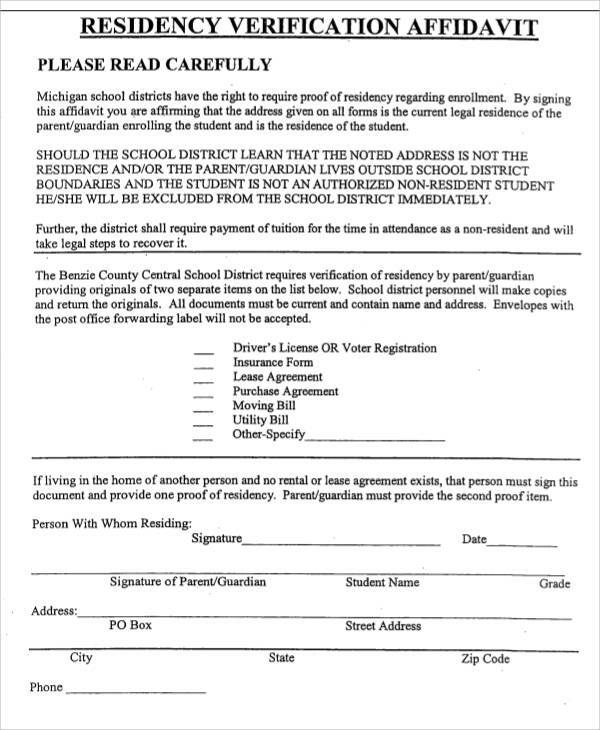 Sign the affidavit. 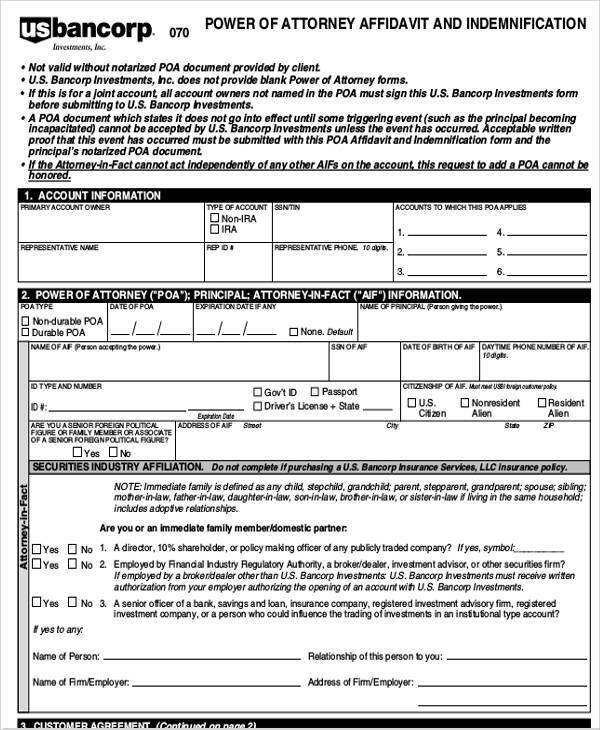 Review all the information in the affidavit before signing it. Take your time to understand the provisions. 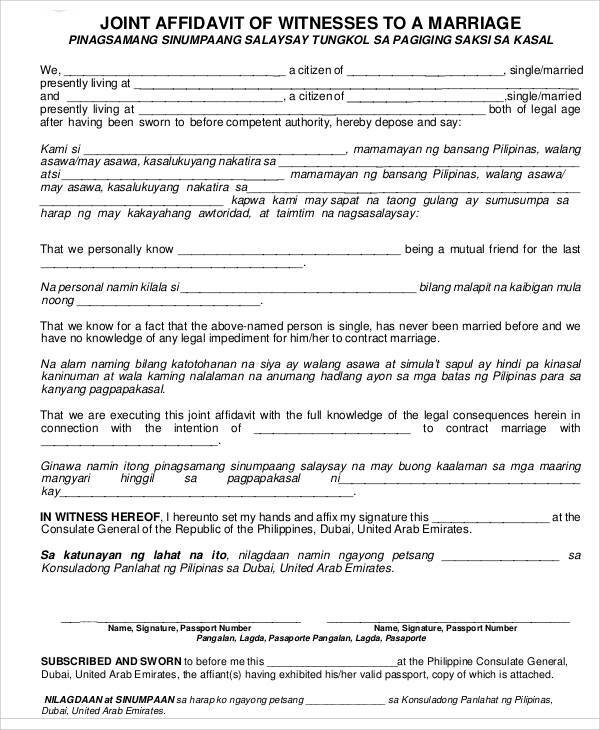 Also, let the assigned legal authority sign the affidavit for the formalization of the document. 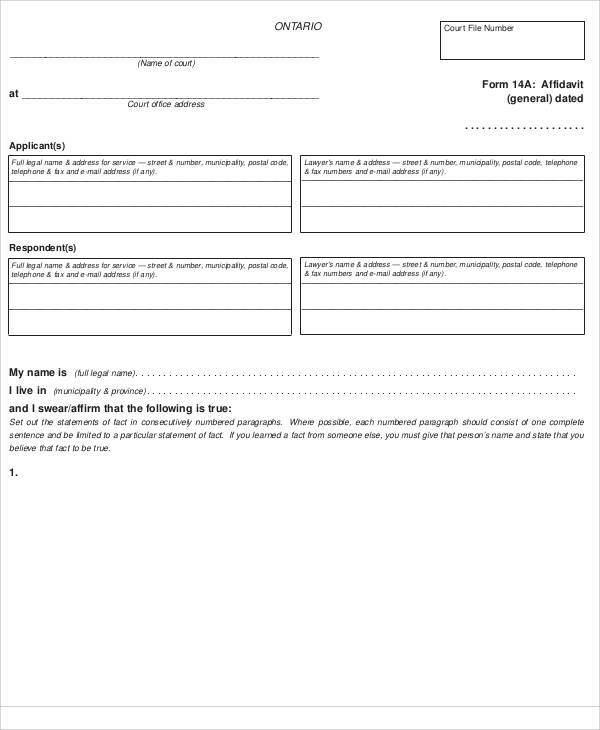 To have your own affidavit form, our website is offering different types such as sample affidavit of support forms and sample affidavit of support letters. 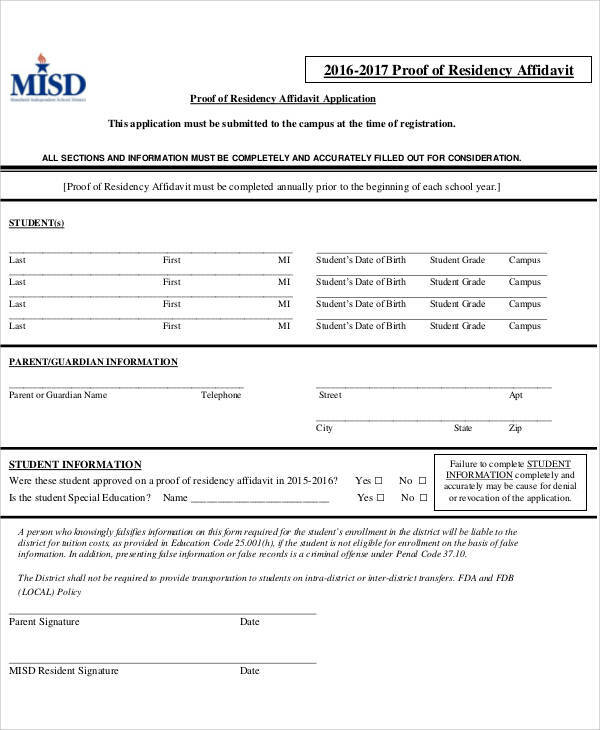 Visit us for more forms!